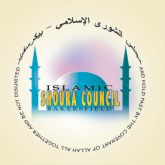 The Islamic Shoura Council of Bakersfield strives to be a full service community organization that effectively responds to the needs of the Muslim community. Although a considerable amount of work remains to be done in order to fully acheive this goal, several valuable services and programs are currently offered to the community. Please click on any of the titles listed on the left side of this page to learn the details about that particular service or program.